The Aquabats, masked and ready to save the day for an entire generation of kids. 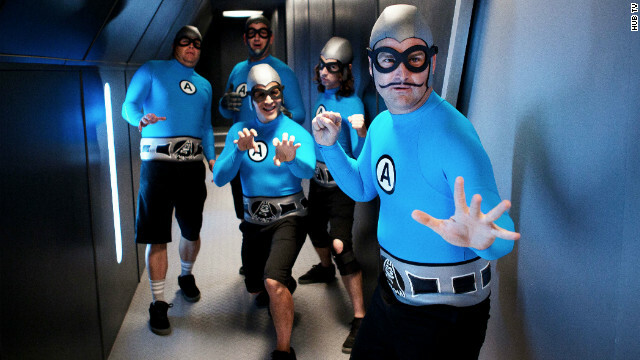 Words like “quirky” and “wacky” have been attached to alt-rock band the Aquabats, but “nerdy” is equally applicable to five guys who perform as superheroes wearing masks, rubber helmets and bright blue shirts reminiscent of the Fantastic Four. 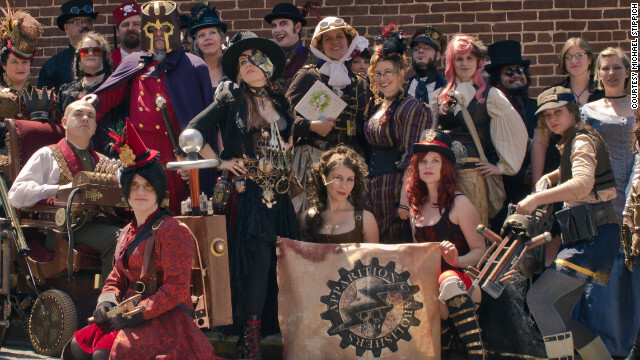 All of which makes them naturals for a children’s television show. After a long journey to the small screen, the Orange County band - whose members go by the names The M.C. Bat Commander (Christian Jacobs), Eagle “Bones” Falconhawk (Ian Fowles), Crash McLarson (Chad Larson), Ricky Fitness (Ricky Falomir) and Jimmy the Robot (James Briggs) - has finally brought its colorful brand of whimsy to Saturday mornings. “The Aquabats! Super Show!” landed on The Hub television network in March, and there isn’t anything quite like it in the realm of modern kids’ programming. Billed as “the first musical, crime-fighting super-group in history,” the band travels in a custom RV and breaks into songs like “Hamburger Rain” and “The Good Life,” a paean to doughnuts. They fight villains like Man Ant, an insect-human who wears a suit and tie. In addition to animated segments involving onion spaceships, there are live-action bits including commercials for the monster repellent “Mummy Spray” and a used-car ad featuring Bear Cosby, a person in what appears to be a wolf costume. That barely scratches the surface of the hijinks.